Dr. Sullivan and Maureen Spotlighted In Providence Journal Article - Patrick Sullivan, M.D. As Providence Journal staff writer Jenna Pelletier stated, “Our culture has never been more obsessed with fighting signs of aging”. 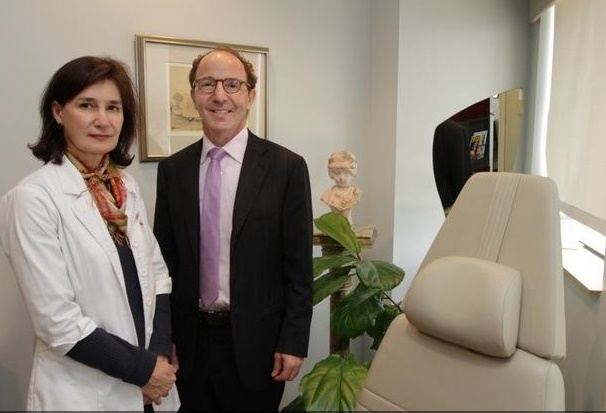 To that end, we were honored that the Providence Journal turned to Dr. Sullivan and his team to discuss expert insider information on this trend towards anti-aging procedures. During the interview process, Jenna and her team, met with Dr. Sullivan and Maureen to discuss the latest advances in cosmetic surgery and non-surgical procedures and to obtain their recommendations on what works for patients looking to turn back the hands of time. In the article, Dr. Sullivan discusses the importance of choosing the correct surgeon with a well-developed artistic eye to perform your surgery. He also discusses one of the most exciting new advancements in cosmetic surgery, the use of fat injections to help create a more natural rejuvenated result. One of the greatest advantages of utilizing specialized fat injections can be the longevity of the results. As Dr. Sullivan stated in the article, we now have 10-year follow-ups of our patients demonstrating the long lasting rejuvenated effect this treatment has on our patients’ skin and facial contour. Another growing trend Dr. Sullivan speaks to in the Providence Journal piece is the rise in male cosmetic surgery patients. Over the last few years we have seen a significant increase in men looking to address signs of aging. Frequently, both men and women are choosing to have facial rejuvenation for professional reasons. They often note other benefits as well such as increased confidence and feeling much more youthful and energetic. Maureen, our certified nurse injector, was also interviewed for the piece. Maureen discussed the exciting new advancement of micro-Botox, which leads to a more natural appearance and avoids the look of the “paralyzed forehead”. To read the interview in its entirety, please visit the Providence Journal. To schedule your consultation with Dr. Sullivan or Maureen please contact us now!